TEXRail will help boost economic development in the Fort Worth area, according to Trinity Metro’s Paul Ballard (shown). At 3 a.m. on Jan. 10, six people were lined up to be among the first official passengers on TEXRail, the new commuter-rail line connecting downtown Fort Worth, Texas, to Dallas/Fort Worth International Airport. Ridership on the 27-mile, nine-station route reached close to a combined 100,000 rides during the first 22 days the train was running. Daily ridership is expected to hit 8,000 riders by the end of 2019 and 14,000 by 2035. 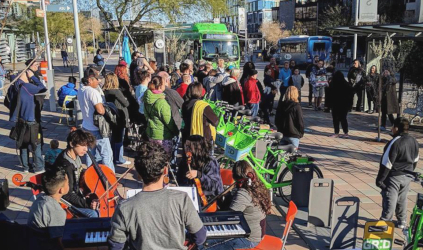 "We were thrilled that so many people came out and tried the service," says Paul Ballard, president and chief executive officer of Trinity Metro, the regional transportation system that operates TEXRail and provides public transportation in Tarrant County, Texas. "We knew it would be popular, but 100,000 was far more than we had anticipated, and we’re very pleased that people have embraced the new rail line. It's awesome." Ballard's excitement is justified, given how long TEXRail has been in the works and how smoothly its launch went — especially after a technical glitch delayed the first run by five days and a partial shutdown of the federal government between December and January threatened further slowdowns. TEXRail connects downtown Fort Worth to Dallas/Fort Worth International Airport. Ridership on the 27-mile, nine-station route reached close to 100,000 rides during its first 22 days in operation. Passengers (center photo) lined up at the Grapevine Station to ride TEXRail. 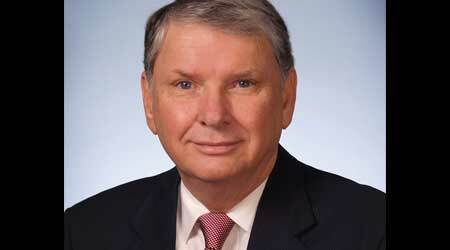 "It all comes down to economic development," Ballard says, explaining the impetus for TEXRail. "The airport is a huge economic development engine in North Texas. You can take a nonstop flight to almost anywhere in the world through DFW Airport. 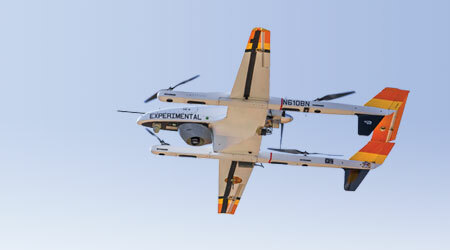 Any city that’s going to be considered for corporate headquarters needs to be connected to the local airport by a rail system, and that was a big part of why it was required here." Fort Worth was missing a critical link between its central business district and DFW Airport, and TEXRail completes that link, adds Ballard. Discussions regarding the project date back to at least the early 2000s, but it was about 10 years ago that Fort Worth officials began moving forward with TEXRail by hiring consultants, contracting for environmental impact study work and lining up funding. Construction began in 2016. Initially expected to cost $1 billion, the project's price tag most likely will be closer to $950 million, according to Ballard. Trinity Metro — which in addition to TEXRail operates Trinity Railway Express — and local government agencies covered about half the cost, with the other half coming through federal grants. The annual cost to operate TEXRail is $12.1 million, which comes from Trinity Metro's operating budget and includes contributions from partner cities. No fewer than five railroads interact with TEXRail or use some of its property: Passengers in downtown Fort Worth can connect with Trinity Rail Express, Amtrak, Greyhound and local buses. At the airport, TEXRail passengers can connect with Dallas Area Rapid Transit (DART) and bus services. "We here in Texas are way behind [other major metro areas] in addressing passenger-rail transportation as an important mode in urban/exurban regions, but we are catching up as quick as we can," says Peter LeCody, president of Texas Rail Advocates and chairman of the Rail Passengers Association. Part of the problem, LeCody believes, is that the Texas Department of Transportation didn't have a rail division until 2009 to help plan for future transportation needs. "We continue to take baby steps compared with other state DOTs that have robust passenger-rail programs," LeCody says. "We also have a legislature that does not yet recognize the idea that there is more to transportation than asphalt and concrete." 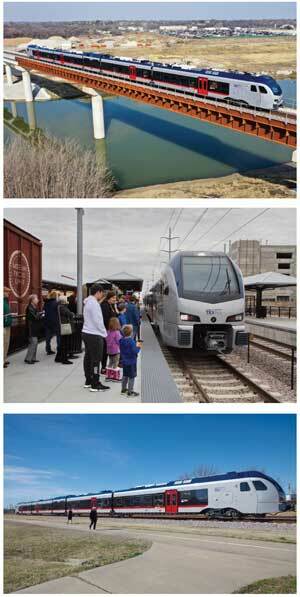 TEXRail already has spurred expansive economic development, according to Ballard, who notes that $336 million of transit-oriented development projects are completed or in the works in North Richland Hills and Grapevine — the other two major cities TEXRail serves. Additionally, a $140 million, 53,000-square-foot maintenance facility designed specifically for the eight sleek Stadler trainsets that power TEXRail was built on the north side of Fort Worth along the new rail line. Although passengers didn’t officially board TEXRail trains until Jan. 10, the service ran three special trains on New Year's Eve, carrying by-invitation-only passengers that included elected officials, community leaders and longtime supporters. 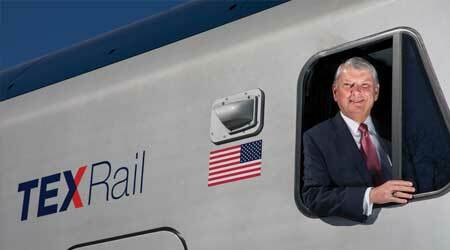 "In the big scheme of things, we were on a pretty aggressive schedule, starting construction in 2016 and actually running trains by the end of the 2018," says Ballard, who began his railroad career as a brakeman in New England and arrived at Trinity Metro in 2014 after overseeing the startup of the Music City Star commuter-rail service in Tennessee. Ballard announced late last year that he will retire in April. TEXRail's official first run originally was scheduled for Jan. 5, but it was delayed for five days after a signal issue was discovered along the line on Jan. 4. Crews traced the problem to a wayside cabinet with incorrect wiring. "We were thrilled that so many people came out and tried the service." "The only role shutdown played was that some of the communication was difficult because a lot of the people in the communications area at the [Federal Railroad Administration] were not available," Ballard says. Ultimately, FRA representatives were instrumental in helping TEXRail officials remedy the signal issue and were among the first to ride TEXRail on Jan. 5. Another challenge focused on semantics, in part because Fort Worth Mayor Betsy Price early on used the term “light rail” when referring to TEXRail as it was being developed. Six of TEXRail's eight trainsets are available for operation, with the other two trainsets slated to arrive in late spring. Once they do, TEXRail will switch from running hourly to every 30 minutes for four or five hours in the morning and four or five hours later in the day — based on peak ridership times. That could push the number of daily trains to 72 runs per day, Ballard says. Pending additional funding from local and federal sources, plans are in the works to expand the TEXRail line to the southwest, with stations that would serve such busy areas as a hospital district and the Texas Christian University campus in Fort Worth. Two more stations also are on the drawing board and would serve new or evolving residential areas. The cost of the first two expanded stops ranges from $200 million to $225 million, according to Ballard, with the additional two stops pushing the price tag as high as $450 million. "The expansion is dependent on our ability to raise the funds," he says, pointing to local funding sources and federal opportunities. "If we're successful, I think we could do [the expansion] in the next two to three years." But right now, LeCody is thrilled TEXRail is finally up and running, especially considering transit’s slower growth in other parts of the state. For example, Austin has one commuter-style line, but is thinking about expansion; San Antonio has been "very negative" toward using rail as a multimodal effort to ease motor vehicle congestion, he says. "While Houston has been developing a light-rail system over the past decade, other regions of Texas have had a slow growth or [a] no-go attitude," says LeCody. "And to top it off, the TEXRail cars are so cool looking, like nothing else we've seen in Texas and the Southwest." Ballard believes TEXRail will push Fort Worth to a higher level of economic competition with other cities. "Dallas has been connected to the airport since 2014, and I think that has given the city a competitive advantage," says Ballard. "What we've done is level the playing field with Dallas, because we now have high-quality public transit available." Michael Popke is a Madison, Wisconsin-based freelance writer. Email questions or comments to prograil@tradepress.com.